The University has a selection of air-conditioned, varied sized lecture rooms and seminar rooms, each fully equipped with state-of-the-art audio/visual technology. Additionally, there are two laboratories, one of which has been specifically equipped with Apple Macintosh computers furnished with the latest design software for students in our Media and Communication programmes. 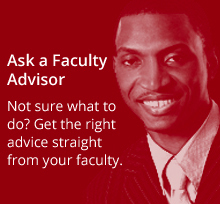 The University of the West Indies Bookshop provides for Faculty, Students and Academia at large, a medium that fosters research, learning and the acquisition of information for education and human resource development. The Bookshop is a critical medium for the nurturing of the Caribbean personality and therefore, preferentially allocates resources to the acquisition, display and dissemination of books, the entire electronic information spectrum, and indeed any product that promotes the delivery of tertiary education. Currently in its sixth year of operations, the Western Jamaica Campus (WJC) Branch Library was established along with the Campus, and opened its doors to the WJC family on August 25, 2008. It provides services and facilities in support of all programmes offered at the Western Campus. Originally conceived as a virtual library supported by a collection of core print and audio visual materials, the Library provides comprehensive access to international scholarly databases, electronic journals and electronic books. Presently, the WJC Library has two readings rooms, one of which is equipped with desktop computers. There are laptops available for borrowing for use anywhere on the campus. Students at WJC are guaranteed access to library resources at the Mona Campus. To this end, materials that are not held locally are upon request, transported via the daily courier service between Mona and WJC. Books borrowed at Mona can be returned at WJC or vice versa. The Library is operated as one seamless system between Mona and WJC and as such, students are encouraged to use this intra-library system. The catalogue which provides access to all print materials and electronic resources in the University of the West Indies (UWI) library system, including that of the sister campuses of St. Augustine and Barbados, is searchable via the Internet through a federated search interface known as UWILinC, short for: the University of the West Indies Libraries Information Connexion. Information literacy (IL) sessions are offered each semester to assist students with understanding how to locate and use all the information sources at their disposal, responsibly and successfully. Students are encouraged to sign up for group sessions at the beginning of each semester or visit the Library for individual assistance. 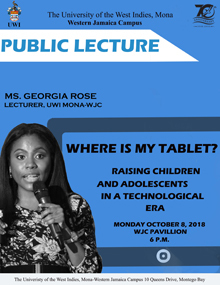 Other services provided by the WJC Library include: Orientation sessions for postgraduates, undergraduates and new faculty and staff; the teaching of modules in all foundation courses; thesis scrutiny; exhibitions, assistance with conferences and accreditation processes as well as outreach to the wider UWI community through training workshops and assistance with reading and other literacy initiatives. The library services and facilities are made available to students and faculty visiting from Mona and the other campus. We also process requests for use of our services and facilities from visiting researchers, and students from other local and international universities on a case-by-case basis. The Library also provides reprographic services. The University of the West Indies has distinguished itself as the foremost tertiary institution in the Caribbean, with the UWI Mona being the leading study abroad destination. 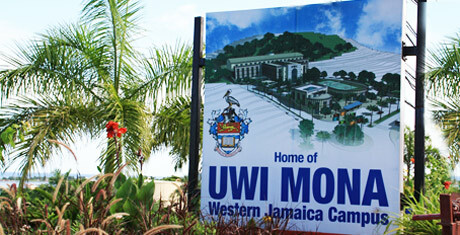 In keeping with this tradition, the Mona-Western Jamaica Campus, since inception, has hosted many international students from countries and territories such as Canada, USA, Trinidad and Tobago, Belize, Barbados, to name a few. 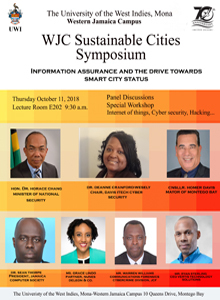 The Western Jamaica Campus is nestled in the heart of St. James’ booming and illustrious city, Montego Bay, which is known for its impressive nightlife. Our close proximity to the famous ‘Hip Strip’ and other historically significant areas allows for the perfect well-rounded experience of the student tourist, as it allows for teaching and learning taking place both in and outside the classroom. The rich heritage of Western Jamaica lends itself to the developing character of our campus, which is truly a melting pot of individuals from across the region.